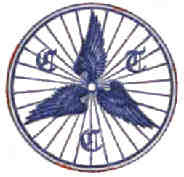 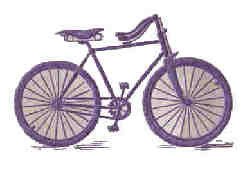 Publishers of crests were quick to espouse new fashions as they emerged, and a number of attractive crests have been encountered for bicycling. 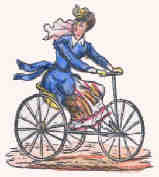 The lady on the tricycle, which allowed the retention of the long dress for modesty, was found in a French album. 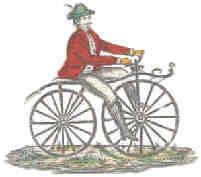 Whilst the dress of the gentleman on the right has a European look to it, the early cycling clubs wore uniforms on their club outings. 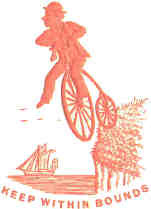 The comic crest is by James Macmichael of London, heraldic engraver to Queen Victoria, and was executed for the frontispiece of a crest and monogram album published by Stanley Gibbons & Co. 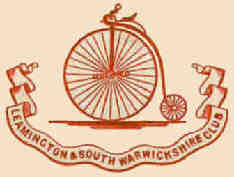 The crests of the Temple and the Leamington & South Warwickshire clubs both have depictions of a penny-farthing cycle; these were in use in the 1870s and 80s. 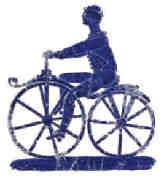 It is interesting to note that though the two have sufficient differences to indicate that they are not from the same die they are almost identical, an indication of the faithfullness of the engravers in recording their subjects. 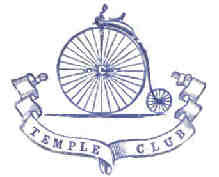 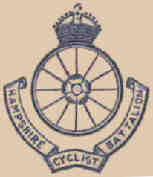 The crest to the left shows the badge of the Cyclist Touring Club, which was founded in 1879. 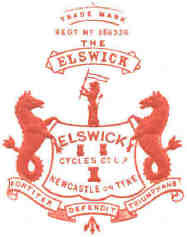 Three cycle manufacturers. 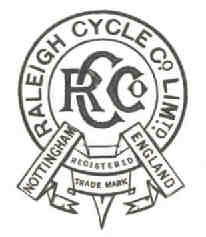 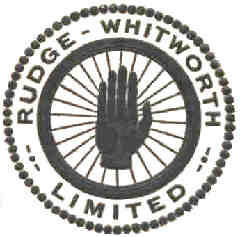 The Rudge-Whitworth company had its origins at the very beginning of cycling, in 1868, when Tom Rudge was producing velocipedes.